+ Set your Valentine's Day to a random day of the year. 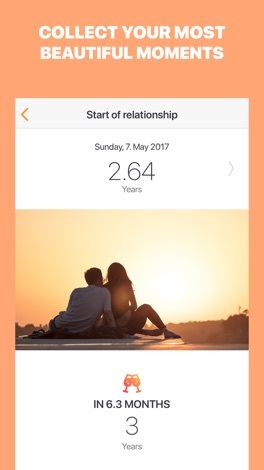 The app for couples in a relationship. 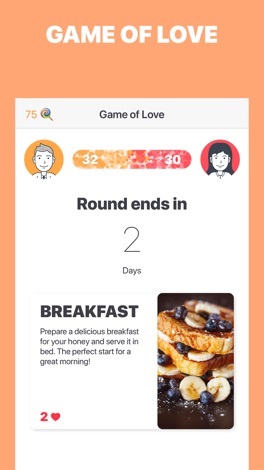 The key to healthy relationships is appreciation, organization and communication - so we made an app for it. 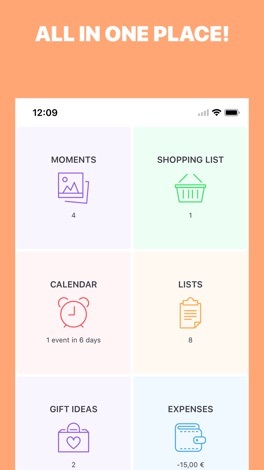 Happy Love is an app to keep both in Love by connecting your chores, treats and interests. Sounds useful right? Download our app now and no worries it's free. Get your shopping done together. Left your shopping list at home again? Not with us! 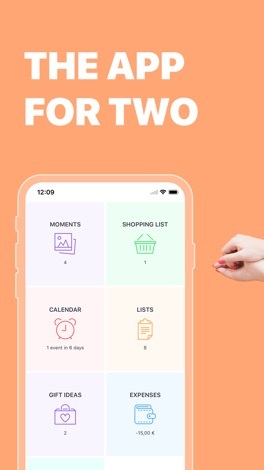 Happy Love contains an algorithm to remind you of the things you forgot to buy together. Write something into the shopping list and your better half will be notified to pick it up. Did your partner miss your grandma's lunch again? Don’t blame them they were missing the Happy Love app. Make it easy for your partner by adding your anniversary, wedding anniversary or other special days so you always know what to look forward to. So you never miss a thing together. Want to meet in town? Share positions and meet without the hassle of calling and explaining. Exploring a new city with your partner and got lost? With the click of a button you will find your way back to your love. Treat your love with maybe a breakfast in bed or a movie only they like, they will love you for it! Gift your originality, your babe deserves it. Is your babe not feeling too well gift them a coupon to anticipate your arrival by gifting a hug and tea. We bet your partner will feel much better. Important details always at hand. Fill it out and you will get personalized gifts like a book from your favorite author! Never buy clothes in the wrong size and gift your partner a jumper in the right size they never knew they wanted. Can you remember your babes favorite colour or their favorite animal? Details like this often escape our minds in the most unfavorable moments, be prepared to impress your partners friends or family. Is your partner facing an important exam or a job interview? Gift them your courage and support by showing that they are in your thoughts. Save moments, pictures and events to remind your partner that times have been good! Remember the place you kissed for the first time? Or the first date you two went on? Save your exciting adventures because they are always worth remembering. Time to get stuff done together? Smack it into the to do list! Remind your partner that today is being spent together working, cooking or raving. Or how about a not to do list which could include not to cook, clean, do washing for a day, turn the tables and get a clear head. Set your mood so your partner knows what to expect when getting home. Feeling sad? Your partner will know and hopefully come back with chocolate and flowers. Still thinking about the parting kiss? Show your partner how much they wander your mind. We hope you will have a great time using our app. This app may use your location even when it isn’t open, which can decrease your devices battery life. Play this popular game in a really easy way by yourself or against a friend. Tic Tac Toe Free is a simple app for iOS that allows you to play Tic Tac Toe in an easy and fun way without having to use paper nor pencil. You can choose to play by yourself or with a friend and the level of difficulty (Easy, medium and hard). It's also possible to choose….